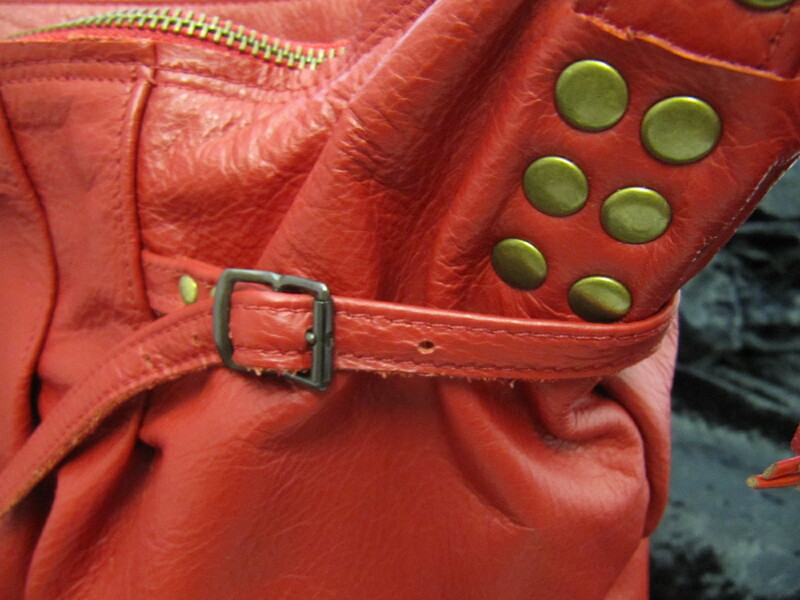 Soft vintage brown leather messenger bag with funky old gold clasp. Lined with green bicycles with one open interior pocket. The long cross body strap is adjustable.